Here’s a blast from the past! 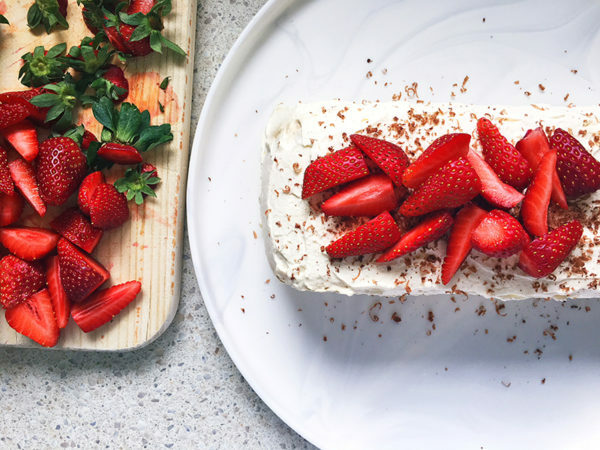 It’s a cake which no doubt graced the table at least once when today’s Australian parents were growing up – the no-bake Arnott’s Choc Ripple cake. Deeeeeelicious! For as long as Arnott’s continue to make Choc Ripple biscuits, this will continue to be a favourite dessert for many Aussie families. 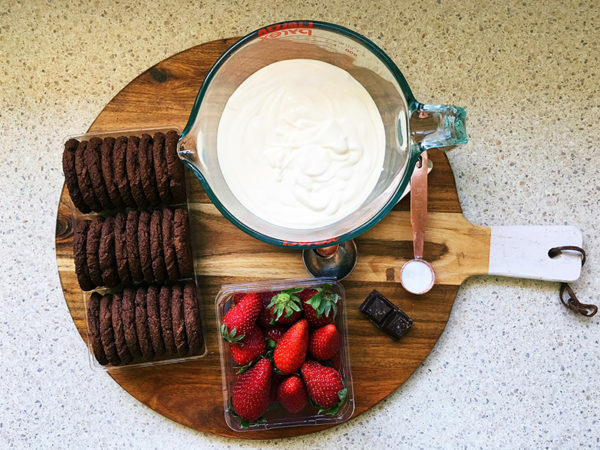 We’ve kept the recipe clean and appropriate for kids to eat, but I can vouch for a Baileys or Kahlua version just as well – simply dunk the biscuits in the alcohol before sandwiching. Easy peasy, but I reiterate, not for kids. Begin this recipe the day before you want to eat it! 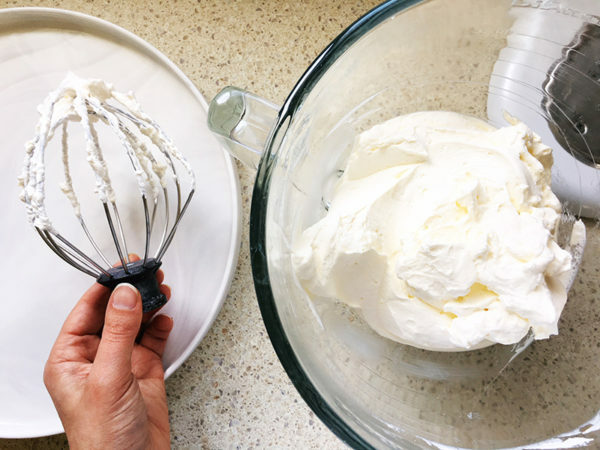 Using electric beaters (or some serious elbow grease and a whisk), whip together the sugar and cream until stiff. Don’t be tempted to sweeten the cream more – there’s plenty of sweetness coming from the biscuits! 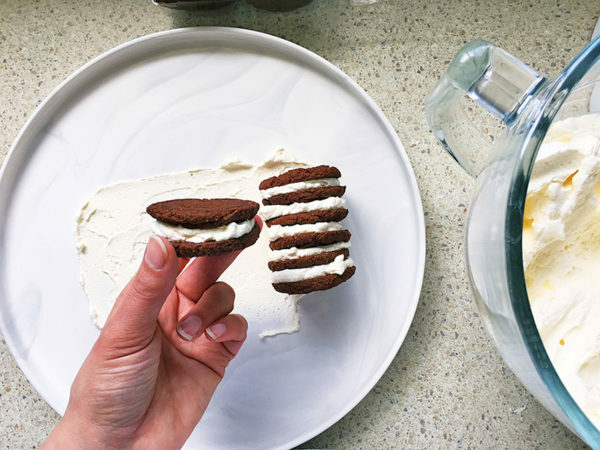 Spread a little of the cream across the base of the serving plate to keep biscuits in place. 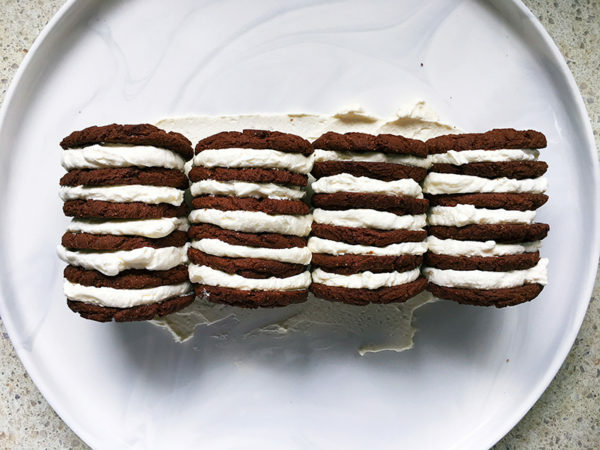 Sandwich biscuits together using a well rounded teaspoon of cream between each pair. Place the biscuits on their side on the plate. Continue until all biscuits are used to form a cake shape. 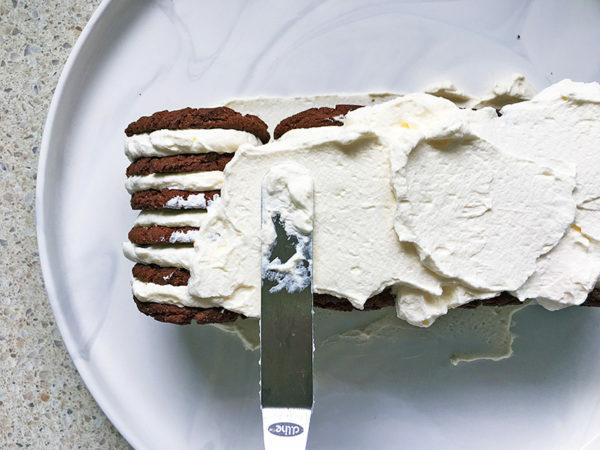 Spread the remaining cream over the sides and top of the biscuits until completely covered. 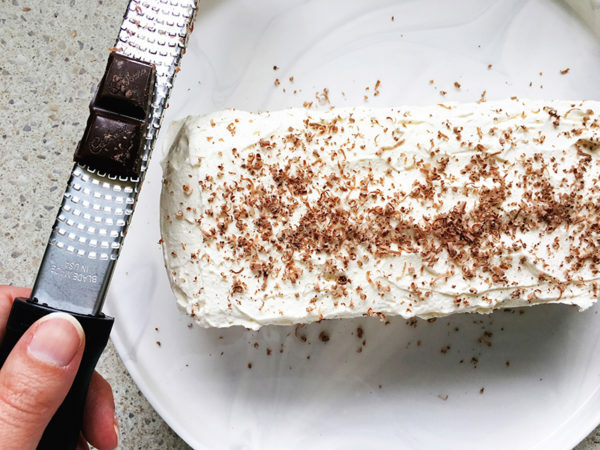 Grate chocolate over the top, loosely cover and put in the fridge overnight to work its biscuit-softening magic. 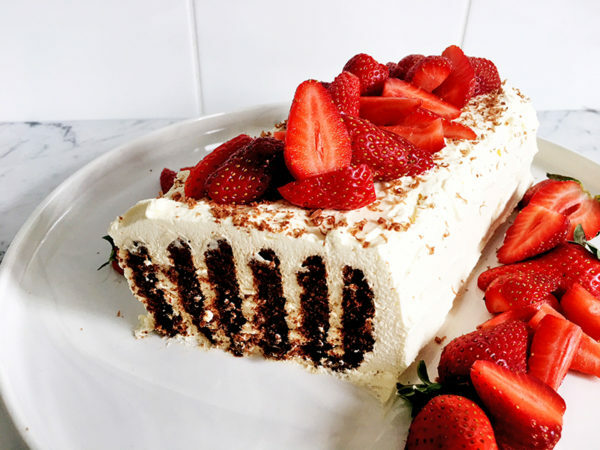 The following day, top with strawberries just before serving. 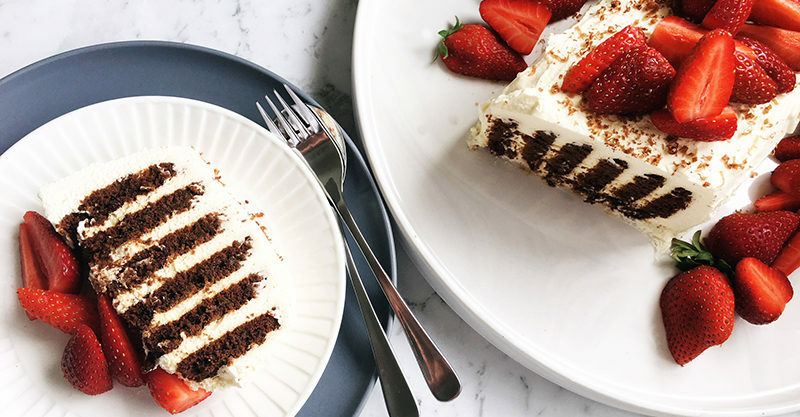 Slice the cake diagonally to really show off those layers. Pretty!